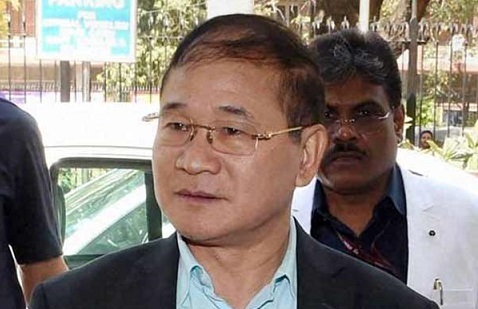 Former Arunachal Pradesh Chief Minister Nabam Tuki has decided to donate his one-month salary for the flood-hit people of Kerala. In a letter to the Assembly Secretary, Tuki asked the former to remit his one month’s salary to the account of Chief Minister’s Distress Relief Fund, Kerala. “Though less, my small approach would help a few aggrieved people in Kerala who are in dire need of financial help and other logistic support,” Tuki said. “At this hour of grief and sorrow in the State of Kerala, I joined with the rest of the nation by paying homage and condolences to the bereaved families. This is a token of my love and concern for my fellow brethren,” Tuki added. According to the Disaster Management State Control room, 231 people have lost their lives and 32 are missing in flood-related incidents in Kerala since August 8. The Centre had on Tuesday released Rs 600 crore assistance to the State. The Chief Minister’s Disaster Relief Fund (CMDRF) had received donations to the tune of Rs 309 crore till last evening through online and deposits in the special SBI account. The United Arab Emirates (UAE) government has offered USD 100 million (about Rs 700 crore) to the rain-ravaged State.